These are the real deal. 9 oz. 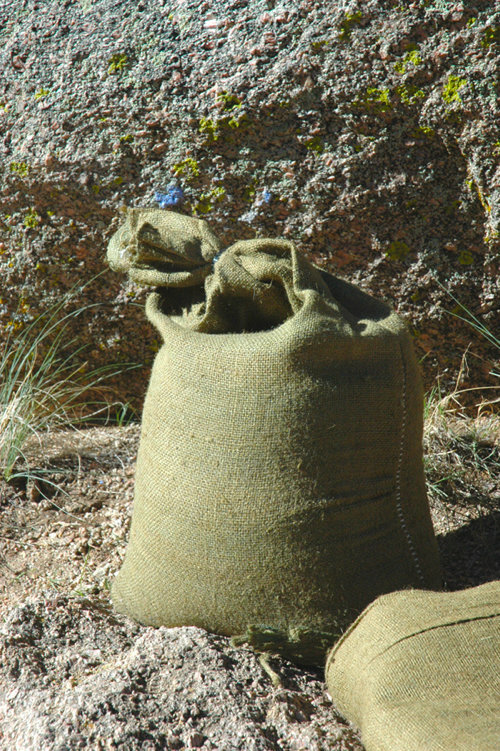 treated burlap bags are treated with an EPA-approved solution which gives them resistance to rot, mold, soil bacteria and deters rodents & insects. They conform to US military specification CID A-A-52141 (formerly MILB-12233E) / NSN#8105-00-285-4744 - class A), and are made in the US. They're biodegradable and can be left in place, or can be stuccoed or plastered over for permanent structural installations. Price breaks available with orders of 100 or more. Call or email us for details.